Get access to the most comprehensible guide on interactive TV services. 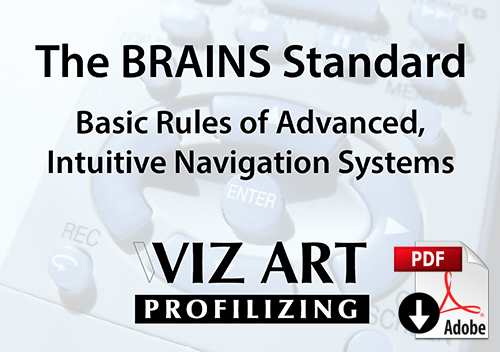 All the information you need to create elegant and intuitive interactive services. Easy-to-understand background on technical details. Rundown on challenges. Including example screens. In short: It is really very simple to overcome the challenges of designing good services for interactive television – simple is one of the key words. 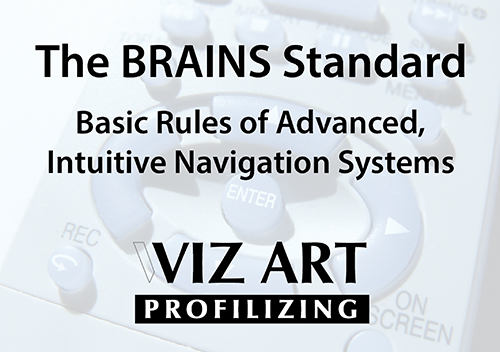 Definitions and specifications of iTV design guidelines are defined in the BRAINS standard: Basic Rules of Advanced, Intuitive Navigation Systems.